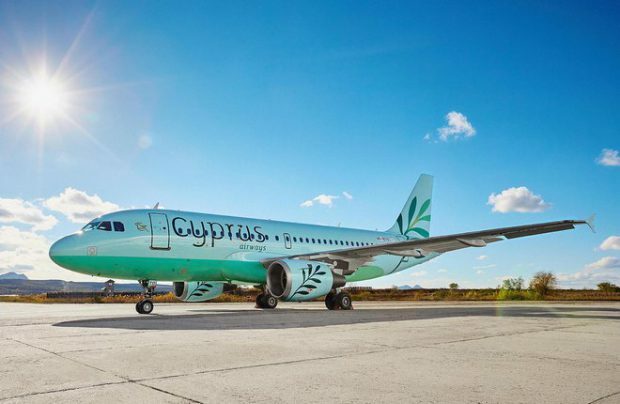 New Russia-backed Cypriot Charlie Airlines, which is getting ready to launch under Cyprus Airways brand, has received its first aircraft, an Airbus A319. The aircraft landed today at Larnaca airport. The airline is counting on obtaining its air operator certificate and launching ticket sales before the end of this year. According to Cyprus Airways officials, the airline’s management is currently finalizing route network development options. The new Cyprus Airways, which was granted the right to fly under the brand of defunct Cypriot national carrier, will be based in Larnaca and operate regular flights to European and Middle Eastern destinations. Its fleet will be made of Airbus A319s. The first aircraft was transferred to the Cypriot carrier from the fleet of the Russian S7 Airlines. S7 Group is one of the renewed Cyprus Airways’ shareholders. The A319 was painted into Cyprus Airways in Mineralnye Vody, Russia, at the premises of the local MRO provider S7 Engineering, a part of the Engineering Holding.